I love music, to the point that I was seriously considering it as my college major. I also love writing, to the same extent. Both activities have always come naturally to me, and they bring me unparalleled joy and a sense of accomplishment. They’re more than hobbies–they’re my solace. I feel that my musical inspirations actually fuel my writing inspirations, and vice versa. When the creative energy is high in one area, it immediately seems to follow in the other. Take last night, for instance. 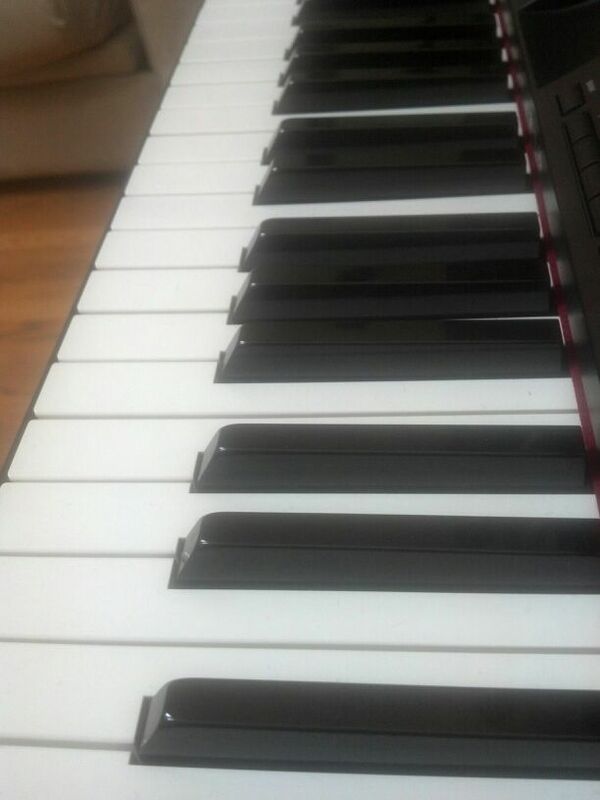 While I played piano, my mind started wandering to what I would blog about next. Then, I started thinking about the new sections I’m adding to one of my short stories. After that, my thoughts went back to the blog, and I had it: why not blog about the interplay between two of the finest fine art forms that exist (at least in my opinion:) …music and literature?!! Some authors actually have playlists that jump-start their writing sessions. For example, best-selling romance writer Roni Loren has a section on her website that details her writing playlist, and how each song influenced her work. Roni writes that she thinks of Kelly Clarkson’s “Dark Side” whenever one of her characters reveals a “weakness or secret.” She even used “Crash Into Me” by Dave Matthews Band as the title inspiration for her novel Crash Into You. Other authors “moonlight” as musicians, even performing in bands. Stephen King plays rhythm guitar in the Rock Bottom Remainders, a rock band comprised of other authors, and reportedly owns a custom, jet-black guitar ornamented with mother-of-pearl spiders! Daniel Handler, aka Lemony Snicket, plays the accordion for The Magnetic Fields and The Gothic Archies. And the list goes on…a recent article in the New York Times, “What Makes a Writer Want to Rock Out?” introduces even more writer-musicians. Check out the link here. Interesting, huh? It looks like, as far as the inevitable connection between literary and musical creativity goes, I’m in good company!